I don’t enjoy protests. I don’t like large crowds, unless it’s festival season and I don’t like aggressive ‘tudes. 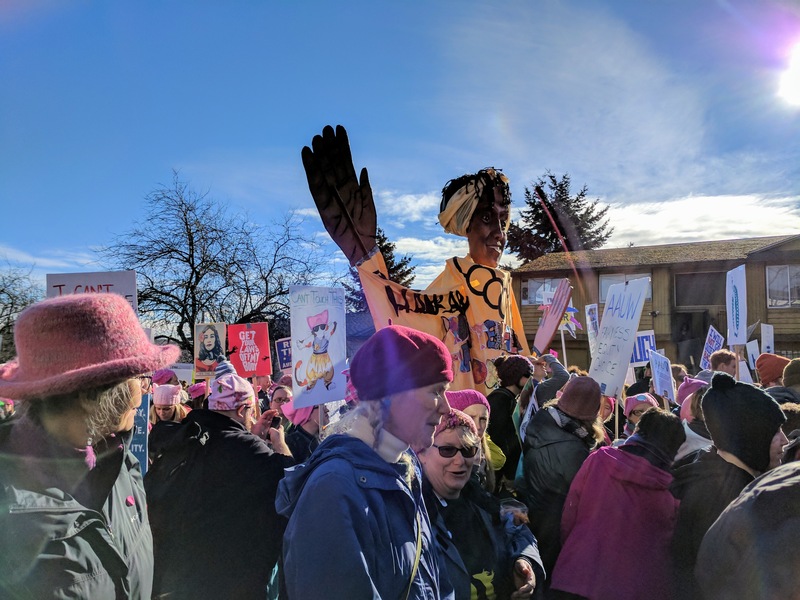 So when my best friends and I planned a surprise visit to Seattle and they asked me to join the 175,000 other women in the city’s Women’s March I hesitated. 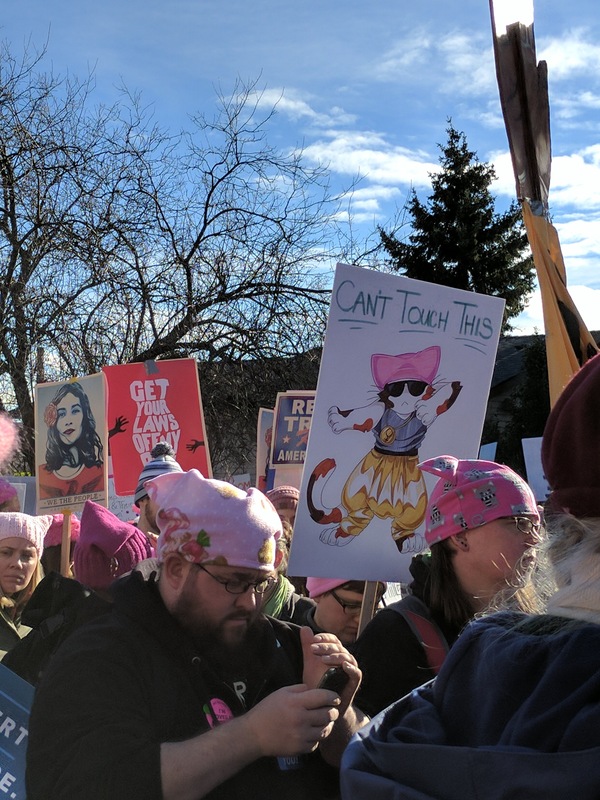 Don’t get me wrong, I fully support the march and the strong, girl power message, but I’d be more comfortable supporting from behind a screen via social media. Like many females in my generation and younger living in America, we have been blessed with freedom. Freedom that came to us the minute we were brought into this world. Yes, as a woman I have had instances that were jeopardized simply because I am female, but for the most part I am free. Free to vote, or not vote, free to choose an education and career path I desired, free to take a leap of faith and start this Gypsy Givers journey. Freedom I take for granted every single day and that’s never been more clear than now when some of our freedoms are being targeted. We want it to be known that this isn’t a political rant. This is a message from Gypsy Givers because our rights feel threatened. Our supporters and followers come from all different beliefs and backgrounds. It’s the moment when equality is at jeopardy when we need to join others and use our platform to reach our supporters because we are stronger in numbers. Just as I’ve been recently reminded that it wasn’t that long ago that women were fighting for equal rights, it is now our turn to continue the fight for the next generation of young girls and boys. 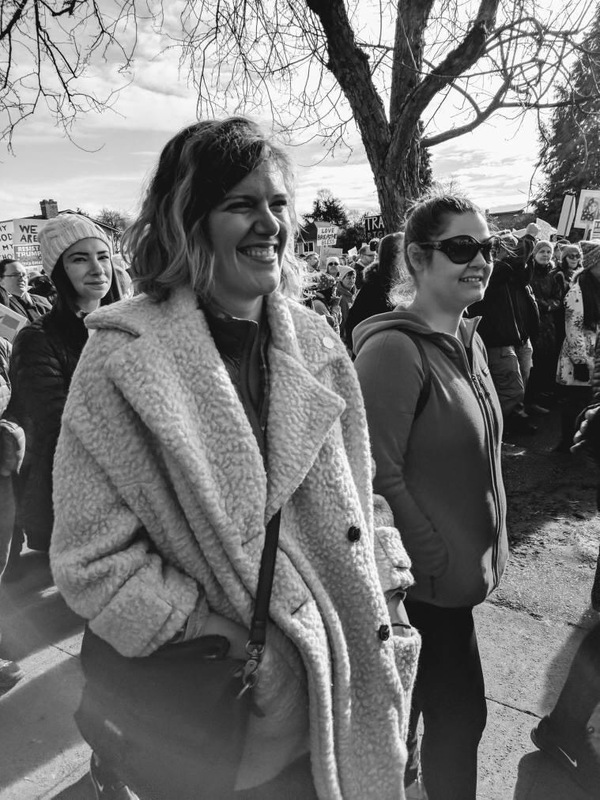 So this past weekend I joined three of my closest friends and marched in silence for something I’ve believed in my whole life, basic human rights. 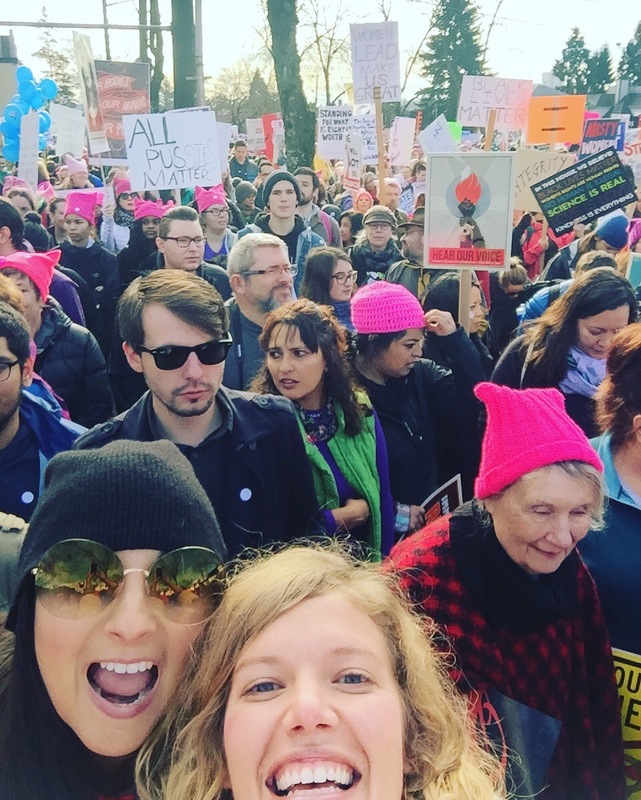 I marched alongside 175,000 women, men and children. 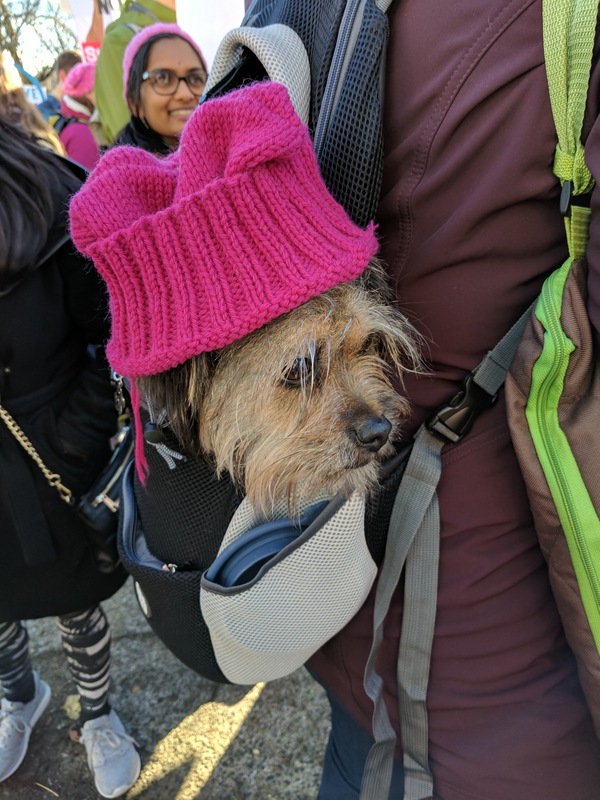 I marched for my sister who wanted to join her local women’s march in Atlanta but in today’s world you need to put safety first and she supported in her home with my nephew in her arms. 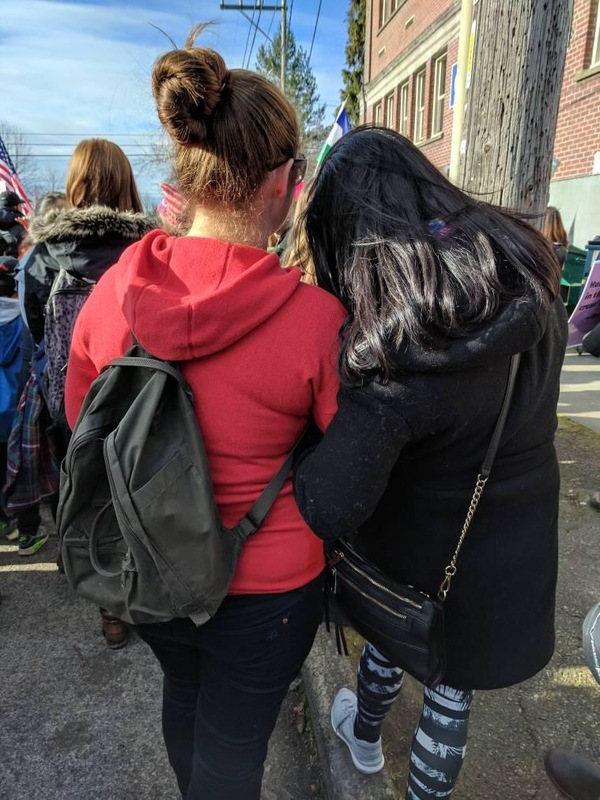 We marched for Lindsay’s nieces, Lucia and Eily. We marched for the men who support strong women, like ourselves, we marched for our loved ones from afar. 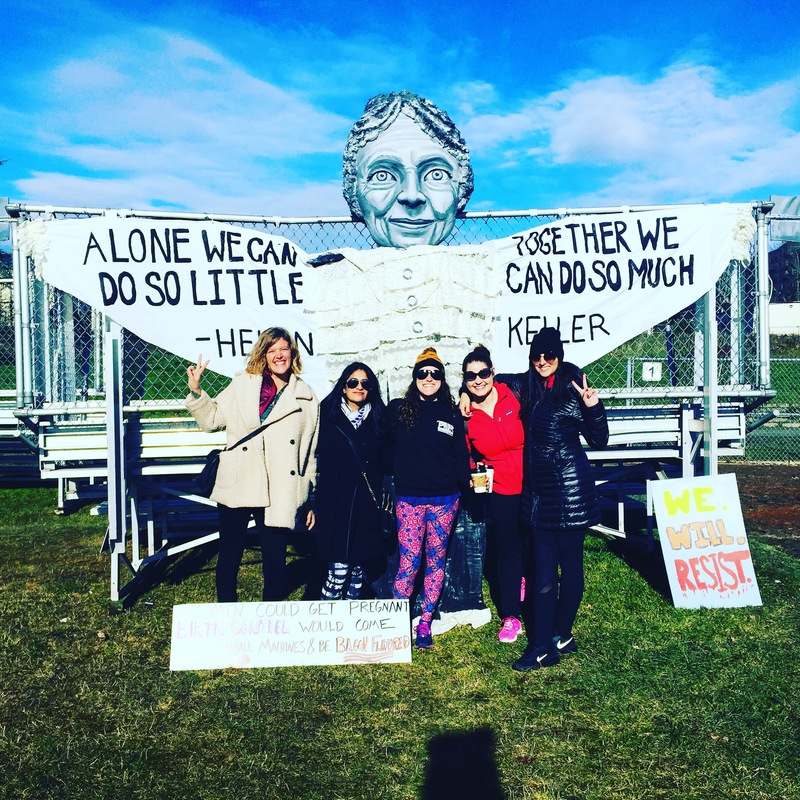 We marched with the strangers who are now part of this weekend’s memories. We marched peacefully and created history as the country’s largest peace protest to date and we will continue marching. I marched in DC and am reinvigorated reading about other marches around the country. Great photos! Thank you for sharing your experience. Way to go, Gypsies. 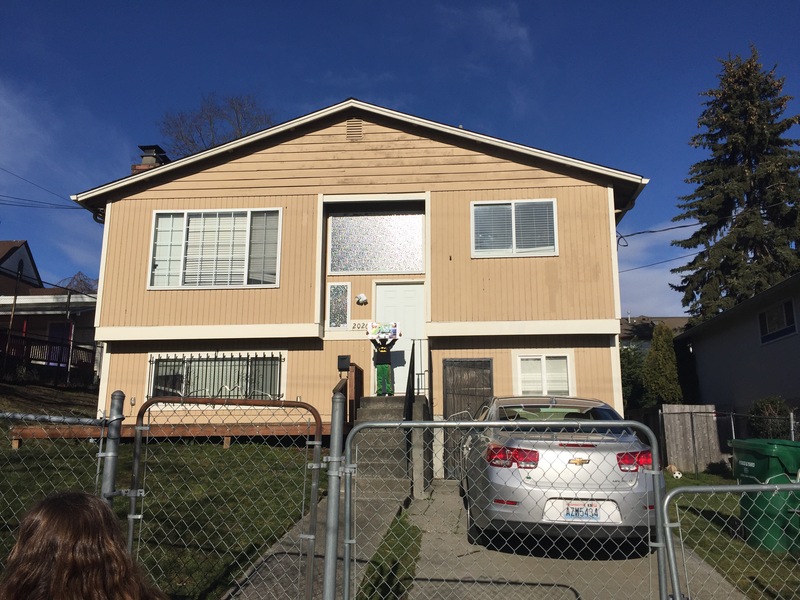 Thanks for posting this and sharing your positive experience in Seattle. Happy to see you girls standing up for human Rights! !